Prime Minister Shinzo Abe’s Liberal Democratic Party won a snap election two weeks ago that caught opposition parties and the public off guard. The result was a record low turnout in which the LDP lost several seats, but kept a two-thirds majority in the Lower House. Barring a crisis, Abe could now be prime minister for several more years, which raises two important energy issues for Japan. The first concerns the energy of young people and the need to engage and trust them. So, Mr. Abe, here are some thoughts for a leader who professes to have the best interests of Japanese young people at heart from an educator with 25 years of experience teaching university students here. First, it is fair to assume that I have had far more interaction with young Japanese people than you have, though, admittedly, most of my experience has been with undergraduate law students. Nevertheless, these are young people who hope to take active roles in your nation. They dream of becoming lawyers, prosecutors, judges, civil servants and business leaders, and of joining international organizations such as the Organization for Economic Cooperation and Development and the United Nations. They are very patriotic, probably more than you realize. They want to be proud of Japan, but they also have serious concerns about its future — socially, economically and diplomatically. Many wonder why your government, even with a majority in the Diet, continues to embrace the business-as-usual policies that have stymied Japan for decades. But of course this student doesn’t want to “muddle through.” Few of us do, and certainly not the young people I have had the pleasure of teaching. With few exceptions they have wanted jobs, careers, families and a country they are proud of. As prime minister and leader of a Diet majority, you have a real opportunity to offer today’s young people a future that ensures optimism and pride. Which is one reason many of us teaching in Japan were greatly saddened and alarmed to hear that, regarding the new state secrets law that came into effect earlier this month, your Cabinet has notified government offices to avoid putting “secret” information in the hands of those with international experience. According to media reports, this means that anyone who has lived, worked or studied abroad — or even studied at international schools in Japan — should be denied access to “secret” information. Do you have so little trust in Japan’s young people? Do you fear they are so easily seduced by foreign ideas and will welcome the next Adm. Matthew Perry with open arms? Is this how you reciprocate their trust? More to the point, are you aware that your own education ministry is right now investing millions of dollars in this nation’s best universities, urging them to become “super global” institutions and send Japanese abroad for language study, internships and degrees? Please don’t be paranoid, Mr. Abe. The vast majority of students who study abroad come back loving Japan even more. But based on knowledge, not domestic “patriotism” curriculum. Young people don’t need to be taught to love Japan; they simply need international experience. You and most of your generation don’t understand this because you never lived or studied abroad. Please leave education to educators and, instead, focus on structural reforms and nationwide initiatives that will convince young people you care about their future as much as you say you do. 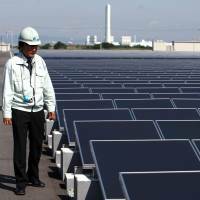 Which brings us to the second energy issue: Japan’s continuing failure to layout a comprehensive and realistic blueprint for clean, safe energy independence. It is well known that the LDP, energy utilities and certain corporations all want to restart nuclear reactors in Japan. You might even get away with it, but for how long? Seventy percent of Japanese do not support nuclear energy, and even if it’s possible to squeeze a few more years out of the country’s aging reactors, who wants to have a new-generation reactor built in their backyard? Japan has more alternative energy options than most any nation on the planet, including hydro, solar, wind, geothermal and tidal. 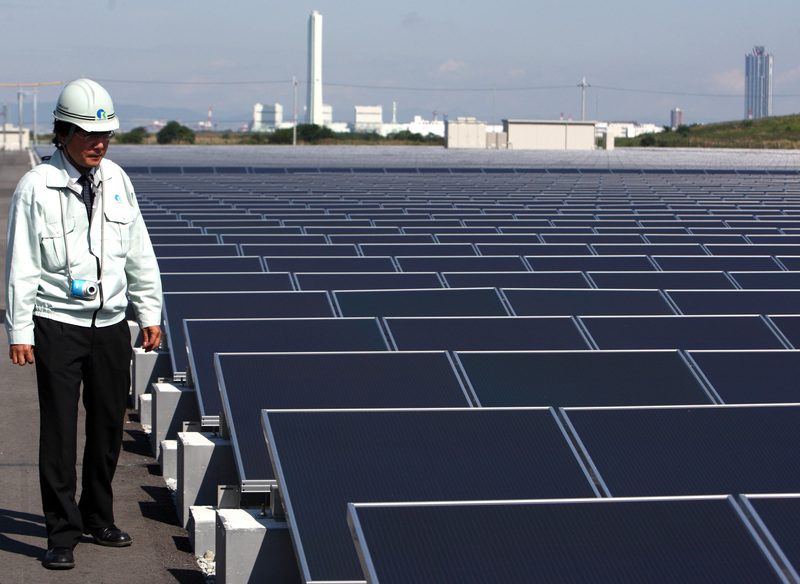 Japan also has a feed-in-tariff (FIT) system, which is a great idea, in theory. A FIT system requires that utilities buy energy generated by nontraditional energy firms, which creates a strong incentive for developing alternative energies. Indeed, Japan has many entrepreneurial individuals and firms that are eager to develop these energies. For these firms the FIT system was a boon, and they moved quickly to exploit wind, sunshine and geothermal power, catching Japan’s utilities off guard. Soon they were producing more electricity than the utilities could handle, or wanted to, and in September major utilities refused to sign any more contracts to purchase power. There are several important lessons here. First, Japan’s FIT program was, and still is, an excellent idea, but it was carelessly drafted and implemented. Second, Japan has extraordinary alternative energy resources and numerous individuals and firms that are eager to exploit these alternatives, given a chance. Third, the primary obstacle preventing Japan from moving quickly toward a clean energy future is the major utilities that have a chokehold on energy generation and transmission. Japan’s residents want a safe, clean energy future, and the sooner the better. 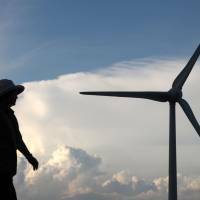 Given the chance, I believe the majority would be willing to conserve even more electricity in homes and offices, if it were part of a comprehensive and transparent plan to wean Japan off nuclear power, and off of our new dependence on fossil fuels that has pushed Japan’s greenhouse gasses higher than ever. Japan residents are just waiting for the government to break its ties with the nuclear village of utilities and corporations, and give citizens an energy future that they can be proud of, one that others will pay Japan to replicate worldwide. The world is waiting for your third arrow of “Abenomics,” Mr. Abe. The farmers and their supports will be a tough and unpopular nut to crack, but voters won’t mind if you come down hard on the utilities and the “nuclear village.” Your buddies will, though. Renovate and standardize the national grid. Create new investment incentives for entrepreneurs, firms and individuals. Decentralize energy with subsidies that encourage local areas to develop and exploit clean, safe alternative energies. Younger generations are waiting for you to give them hope, pride and new energy to grow Japan. 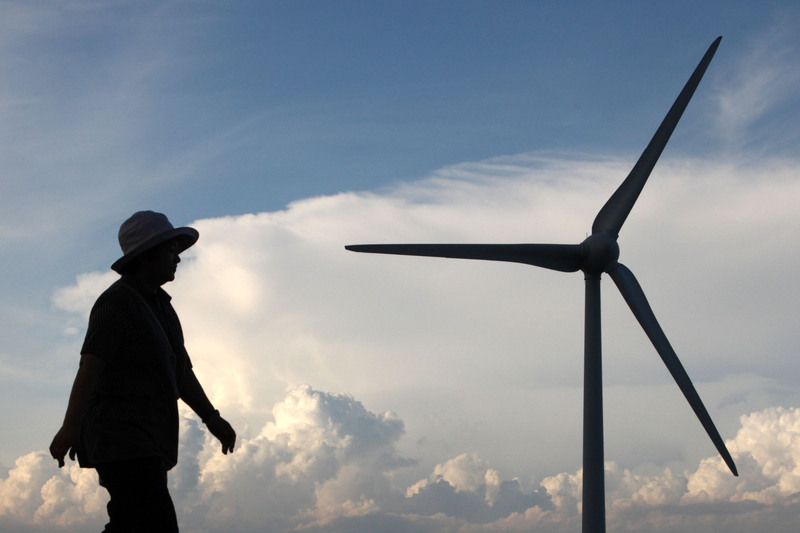 Business as usual or an energy revolution, Mr. Abe? You claim to have a mandate, so use it for something that will truly energize the nation. Stephen Hesse is a professor in the Law Faculty of Chuo University and wishes all Japan Times readers very happy holidays and a safe and bright new year. He can be reached at: stevehesse@hotmail.com.